Explanation: Seemingly adrift in a cosmic sea of stars and gas, this delicate, floating apparition is cataloged as NGC 7635 -- The Bubble Nebula. 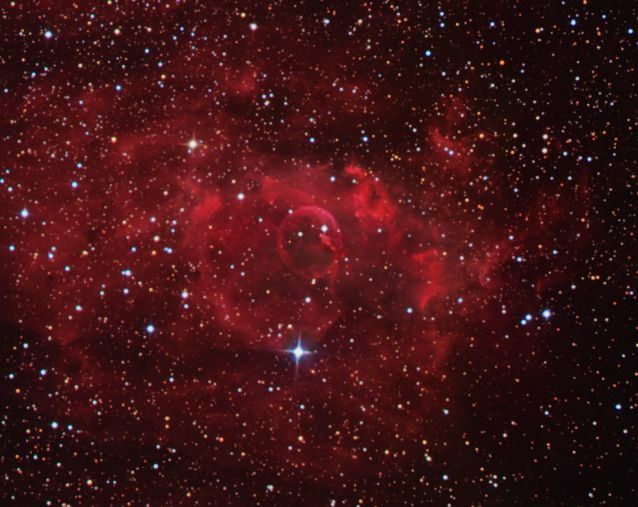 In this wide-angle view, the Bubble nebula lies at the center of a larger complex of shocked glowing gas about 11,000 light-years distant in the fair constellation Cassiopeia. 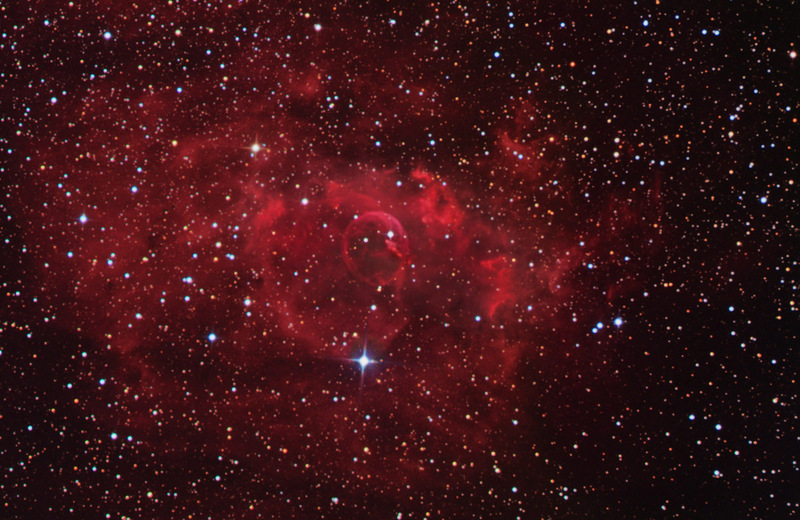 NGC 7635 really is an interstellar bubble, blown by winds from the brightest star visible within the bubble's boundary. The bubble's expansion is constrained by the surrounding material. About 10 light-years in diameter, if the Bubble nebula were centered on the Sun, the Sun's nearest stellar neighbor, Alpha Centauri, would also be enclosed. This breathtaking picture is a combination of telescopic digital images made through broad color filters along with a narrow filter intended to transmit only the red light emitted by excited hydrogen atoms.